Mudar Patherya runs the Communications firm Trisys which is well known for helping companies with the Annual Reports. He also writes on the stock markets for Business Standard. 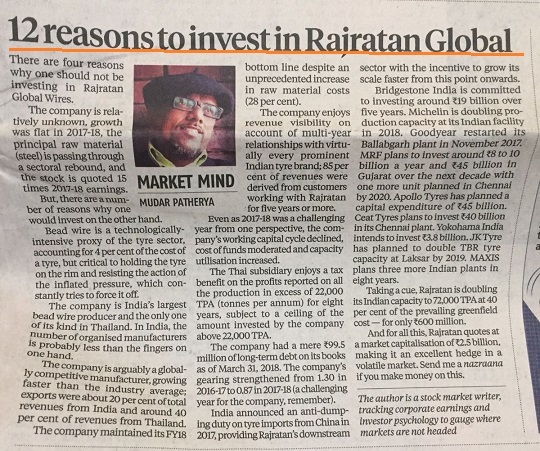 Today he wrote a piece on Rajratan Global Wires. You are doing a great job, exposing such wrong doings. Patheria has become Pathetic-ya with this! Though he helped the company and its investors (plus himself and his family maybe) to make a rise of 10% plus on single day in this stock. Perhaps SEBI/stock exchanges have some business to handle, seeping through some transactions before and after the appearance of this article? Or they maybe busy hunting scapegoats. I am a bit lucky with one of his recco. I picked up Emami Infrastructure at about 85 mid 2017 and sold it around 380 in Jan 2018. Yes most of the analysts do have something here or there to benifit and do hide something. I feel this is a very cheap stint to use a national newspaper for personal good. 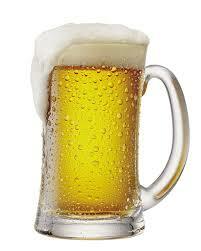 Plus there hasn’t been a decorum of a disclosure / indication of vested interests. Quite shocking how Mr Patherya is peddling wrongdoing for personal gains. I thought he was a man of repute and beyond such cheap stunts. I also recall in one of his blogs he had written “Not tips this time.” At a time when the market regulators are coming down heavy on such ‘tips’, I wonder how a reputed newspaper like the Business Standard can continue to publish his articles? Next PostNext Will History repeat in 2019?